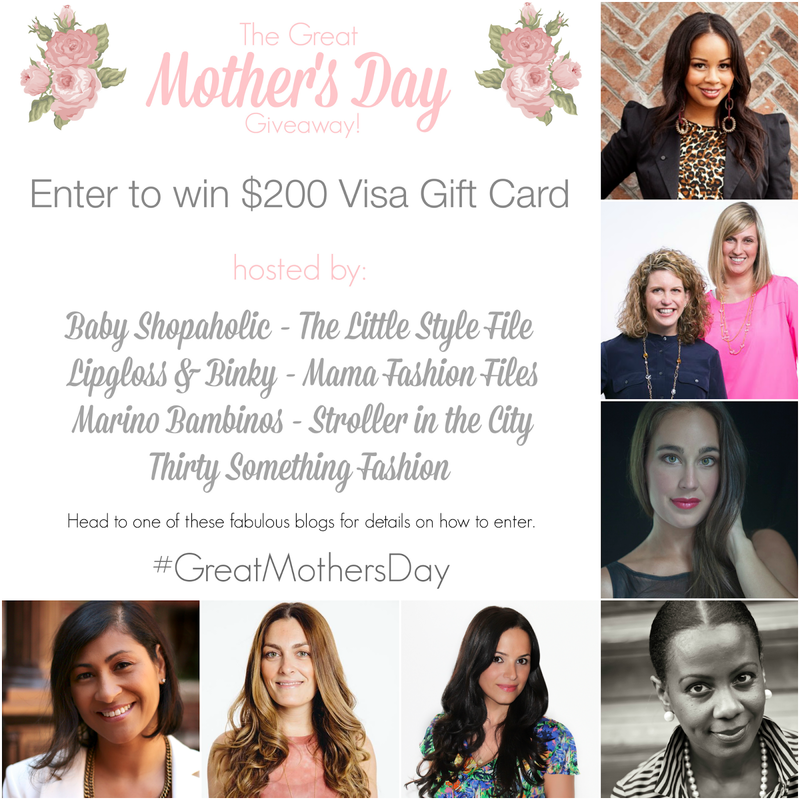 The Great Mother's Day Blogger Giveaway! To celebrate Mother's Day, We've teamed up with some awesome fashion moms to bring you the Great Mother's Day giveaway! One lucky person will win a $200 Visa gift card to buy what ever they want this Mother's Day! Details below on how to enter. This giveaway is hosted by fashion moms, Baby Shopaholic, The Little Style File, Lipgloss & Binky, Mama Fashion Files, Marino Bambinos, Stroller in the City and Thirty Something Fashion. One (1) person will win a $200 Visa gift card. Use the widget below. Giveaway will run until Thursday, May 8th until 11:59 pm EST. Open to US mailing addresses only. Winner will have 24 hours to respond after being contacted. Good luck!